Nitrogen is a vital nutrient that enhances plant growth which has motivated the intensive use of nitrogen-based fertilizers to boost crop productivity. However, Pollution by nitrate is a globally growing problem due to the population growth, increase in the demand for food and inappropriate Nitrogen application. The complexities and challenges in quantifying nitrate leaching have led to development of a range of measurement and modeling techniques. However, most of them are not widely applied due to their inaccuracy. This calls for new approaches in which nitrate leaching can be analysed in order to give better understanding of nitrate fate and transport process for proper management of groundwater. This study presents a mathematical model to analyse nitrate leaching into groundwater from the advection-dispersion equation. The advection-dispersion equation is modified by incorporating soil porosity and volumetric water content of the soil. The stability of the model has been performed by the Von Neumann stability condition after performing descritization using the Cranck-Nicolson scheme and finite difference scheme. The model is conditionally stable for all ranges of angle(κ), when Von Neumann stability condition is applied for both the Cranck-Nicolson scheme and finite difference scheme. The results provide science-based input into best alternative mathematical model which can be used to analyse leaching of nitrate into groundwater. Awni, M. & Atef, M. (2007). Stability and Convergence of Crank-Nicholson Method for Fractional Advection Dispersion Equation. Advances in Applied Mathematical Analysis. Volume 2 Number 2: 117–125. Anderson, E. & Phanikumar, M. (2011). Surface Storage Dynamics in Large Rivers: Comparing Three-Dimensional Particle Transport, One-dimensional Fractional Derivative, and Multirate Transient Storage Models. Water Resources. 47, W 09511, doi: 10.1029/2010WR010228. Judith, A., Odipo, O., Johnstone, W & Phillip, R. (2013). Risk among Consumers of Nitrate Contaminated Groundwater in Langas, Eldoret, Kenya. Baraton Inter disciplinary Research Journal 7 (2013) 3(2), 41-50. Greenwood, D., Zhang, K & Hilton, H. (2010). Opportunities for Improving Irrigation Efficiency with Quantitative Models, Soil Water Sensors and Wireless Technology. Agricultural Science 148:116. Khebchareon & Saenton. (2012) .Crank-Nicolson Finite Element for 2-D Ground Water Flow, Advection-Dispersion and Interphase Mass Transfer. International Journal of Numerical Analysis and Modeling, Series B. Volume 3, Number 2, Pages 109–125. Leskošek, M. (1994). Impact of Fertilization on Environment (Vplivgnoj enjanaokolje). Okolje vSloveniji, Ljubljana, zbornik, TehničnazaložbaSlovenije: 451-455. Marinov, I & Marina, M. (2014). A Coupled Mathematical Model to Predict the Influence of Nitrogen Fertilization on Crop, Soil and Groundwater Quality. Water Resource Management. 28:5231–5246 DOI 10.1007/s11269-014-0664-5.38. Martinus, T., Feike, J., Todd, H., Nobuo, T., Scott, A & Elizabeth, M. (2013). Exact Analytical Solutions for Contaminant Transport in Rivers. The Equilibrium Advection-Dispersion Equation. J. Hydro. Hydromech. 61, 2013, 2 146–160 DO I:10.2478/ johh-2013- 0020 146. Mikotajkow, J. (2003). Laboratory Method of Estimating the Retardation Factor of Migrating Mineral Nitrogen Compounds in Shallow Groundwater. Geol. Quart warszawa. 47(1); 91-96. Micheal T. (2005). Scientific Computing: An Introductory Survey, Second Edition, the McGraw-Hill Companies, Inc., ISBN 007-124489-1. Recktenwald G. (2004). Finite-Difference Approximations to the Heat Equation, Portland State University, Portland, Oregon 39. Sobey, R. (1983). Fractional Step Algorithm for Estuarine Mass Transport. International Journal for Numerical Methods in Fluids.3, 567-587. Su, X., Wang, H & Zhang, Y. (2013). Health Risk Assessment of Nitrate Contamination in Ground water: A Case Study of an Agricultural Area in Northeast China. Water. 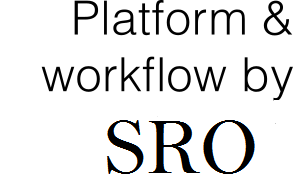 Resource Manage: 10.1007/s11269-013-0330-3. Wesseling, P. (1995). A method to obtain Von Neumann Stability Conditions for the Convection-Diffusion Equation. Conference on Numerical methods in Fluid Dynamics, Oxford University Press, April 3-6. World Health Organization. (2011). Nitrite and Nitrate in Drinking Water. Retrieved from http: //www. Who. int/water/ sanitation /health/deseases/ metheamoglobin/en/. Wu, J., Bernardo, D., Mapp, H., Geleta S., Teague, M. L., Watkins, K.B., Sabbaagh, R. L., Elliott R. L., Stone J. F., (1997). An Evolution of Nitrogen Runoff and Leaching Potential in the High Plains. Journal of Soil and Water Conservation. 52: 73–80.40. 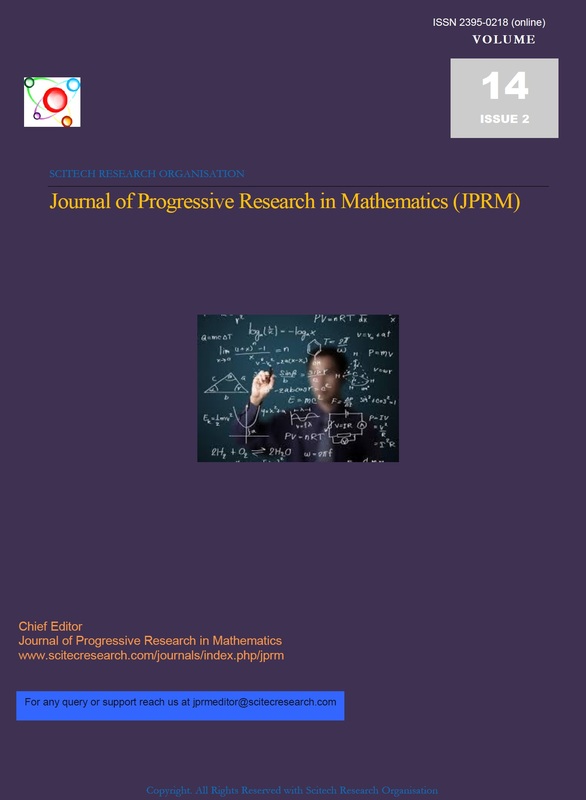 JPRM is pleased to undertake the publication of your contribution to Journal of Progressive Research in Mathematics. The copyright to this article is transferred to JPRM(including without limitation, the right to publish the work in whole or in part in any and all forms of media, now or hereafter known) effective if and when the article is accepted for publication thus granting JPRM all rights for the work so that both parties may be protected from the consequences of unauthorized use.